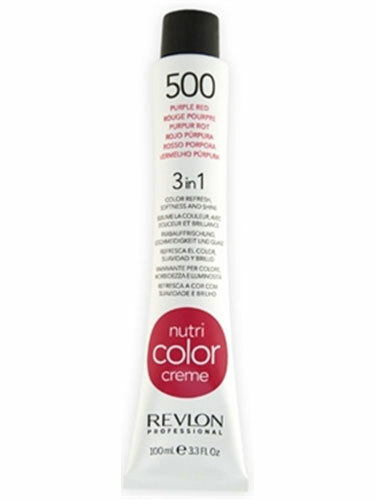 Revlon Professional Nutri Color Crème is a colour treatment especially designed to maintain the vibrancy and life of your colour treated hair. Losing colour intensity after your trip to the salon occurs due to shampooing and environmental factors, but now you can easily maintain the colour intensity of your hair. This 3in1 nourishing hair colour cream, not only gives your hair the colour intensity you want, but also gives your hair softness and shine, all in 3 minutes. Free of ammonia and peroxide.